DUI arrests and all other arrests present the criminal defendant with no choice other than to proceed with a full court press for his or her defense. As a Fairfax DWI/ criminal lawyer, I know that the post-stop and post-arrest period can leave a DWI defendant feeling like s/he is treading water, when it is really time to fully defend the case. The Thanksgiving weekend is one of the times that DUI arrests can be on the increase, with the combination of long weekend merriment and police on higher alert for DWI suspects. This long holiday weekend not having yet ended, I repeat my urging people not even to get behind the wheel of an automobile within twenty-four hours of consuming beer, wine or alcohol. The .08 BAC nationwide threshold for a DUI conviction is too low often for people even to feel any effects of alcohol, and plenty of police will charge DUI even for BAC test results below 0.08. Among the most frustrating and disorienting parts of Virginia DUI arrests are hearing the police officer at the incident scene deny the right to consult with a lawyer, together with deciding whether to do field sobriety tests (beware doing so), deciding whether to submit to the voluntary handheld roadside preliminary breath test (beware doing so) (versus the mandatory breath test that is requested or demanded post-arrest, at the jail or police station), appearing before the magistrate (who sets the defendant’s release conditions and any bond or no bond), and then waiting for a few hours to be released from the jail (under the theory of not releasing the defendant into a possible drunk in public status), all the while knowing that one’s family may be freaking out with worry about the defendant’s well being. As a Fairfax criminal lawyer, I know that the great majority of Virginia DWI defendants get released on their promise to return to court or on a low bond that can be paid in cash to the magistrate or through paying a percentage to a bail bond company. If the magistrate does not release the defendant on a reasonable bond or on the defendant’s promise to appear at all court dates, it is ideal to obtain a qualified lawyer right away to pursue a reasonable bond from a judge. Virginia DWI defendants get inundated with names of lawyers to consider for defending them, through recommendations from friends and family members, Internet searches, and direct mail from lawyers (I do not send direct mail, but know that plenty of very good lawyers do). 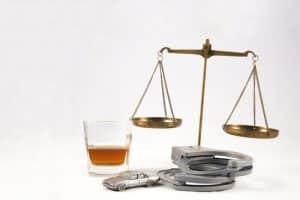 Over the years, I have written here, here, and here on factors to consider in choosing a DUI/ criminal defense lawyer. The ideal DUI defense lawyer will be skilled and experienced with trials in order for any case negotiations to come from a position of strength. The DUI lawyer and his or her client need to work closely, cooperatively and well together as a team. For good reason, I typically advise my DWI clients to proceed with such proactive steps as I detail here. For my part, early on I arrange to get discovery and evidence for the case, seek a court order to transfer a sample of any blood drawn from my client to a private lab, submit a draft discovery order, and arrange the presence of essential defense witnesses. My DWI clients and I need to do all this work because Virginia DUI defense is a battle, which is ours for pursuing the best possible results. Fairfax DUI lawyer Jonathan L. Katz pursues your best defense for DUI arrests and all other criminal, felony and misdemeanor cases. To discuss your case with Jon Katz, please call his staff at 703-383-1100 to schedule a confidential consultation.